Jan Tinbergen was an Dutch economist who shared the 1969 Nobel Prize for Economics with Ranger Frisch. Tinbergen had made outstanding contributions to econometrics. In the 1930’s he developed models for demand management useful in avoiding depressions and counteracting the problem of unemployment. 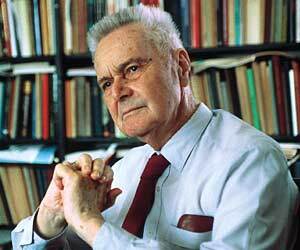 More recently Tinbergen has analyzed the economic problems of underdeveloped countries. His publications include Business Cycles in the USA (1939), Economic Policy: Principles and Design (1936), Shaping the World Economy (1962) Development Planning (1968).